Everyone needs a holiday now and then, don’t we? 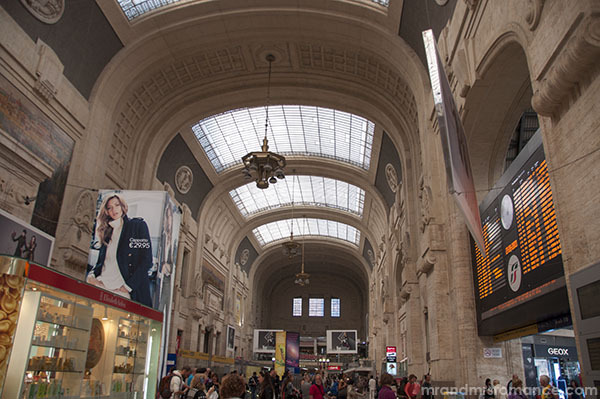 When the people of Milan get tired of the elegance, fashion and sophistication of their hometown, they head straight for Milano Centrale train station and Lake Como. 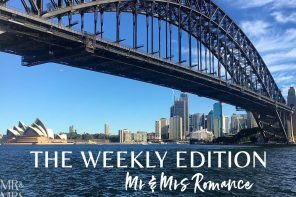 Sign up to our free weekly newsletter here for more travel inspiration, plus get your copy of our travel ebook – it’s on us! One of the most beautiful (and most accessible) great lakes of northern Italy, Lake Como has become a long-standing holiday destination for the wealthy Milanese. Here’s how the locals get there – especially those who can’t be bothered driving all that way! What you’re reading now is information about getting to Lake Como from Milan by train, but we’ve got more! 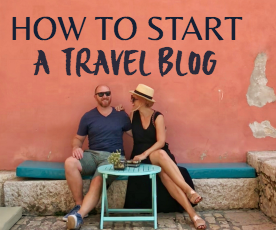 We’ve put together all our best tips and answers to your questions in a comprehensive Q&A style story where you’ll find even more information to help you with your trip to one of the most beautiful places on earth. There are two ways to get to Lake Como, depending on which part you wish to visit. If you imagine the shape of Como as a giant pair of trousers, the town of Como is on the cuff of the left leg. 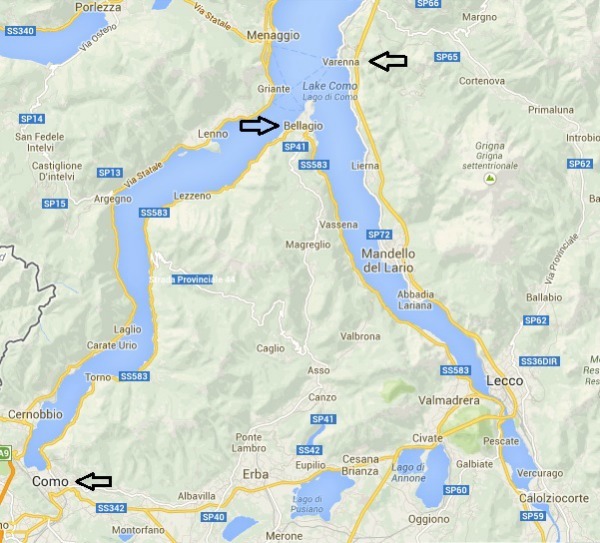 If you want to get to Varenna, that’s on the right side where the lake’s belt loop would be. Varenna is the easiest way to get to the breathtaking town of Bellagio, in the crotch of the trousers! Our tip is to head directly to the pearl of Lake Como – Varenna and Bellagio. Take the train from Milano Centrale to Varenna-Esino. It’s only an hour by train and costs around €13 for a return trip but you find yourself at the middle of the lake. From here, take the ferry to Bellagio (at the tip separating the two southern points of Lake Como). You can buy tickets at Milan Centrale via the touchscreen machines or at the ticket office. You can buy return day tickets here. For the ferry, there’s a ticket office near the wharf – there’s no machine, but the people working there are friendly. Smile, say ciao and go from there! The Varenna ferry to Bellagio costs around €9 per person return and takes around 15 minutes. If you have happened to drive to Varenna, no problems. You can still get to Bellagio. The bottom deck of the ferry is a drive-on platform. Even the emergency services use the ferry! Take the train from Milano Nord Cadorna direct to Como Nord Lago. The trip takes an hour and is around €13 return. Cadorna is a city metro station so you must buy your tickets at the station just before you travel. From here you can take the ferry to visit other towns on the lake. We headed straight for Varenna and Bellagio as we heard that Como town wasn’t as nice. We weren’t disappointed! You hop off the train at Varenna, cross the tracks and head down towards the lake shore. The train and ferry schedules change depending on the season and the day of the week so please check before you leave. You can find the ferry timetables here. You can pre-purchase train tickets to Varenna here up to 7 days before you go. Head to www.trenitalia.com. Note: As commenters have said, there are some good deals to be found here. Extra tip for Italian train travel! Validate your train tickets before you get to the platform! There should be a little green box (usually with no sign) that you put your ticket in. If you don’t do this, the conductor (and there always is one) will be very grumpy with you and you’ll feel the stares of your fellow passengers boring into you! Here are more things we’ve written about Lake Como and Milan that I bet you’ll find handy! Boxes are now yellow for train ticket validation. First class train fare is 9.70 euros each way and the ferry costs 9.20 euros return to Ballagio. 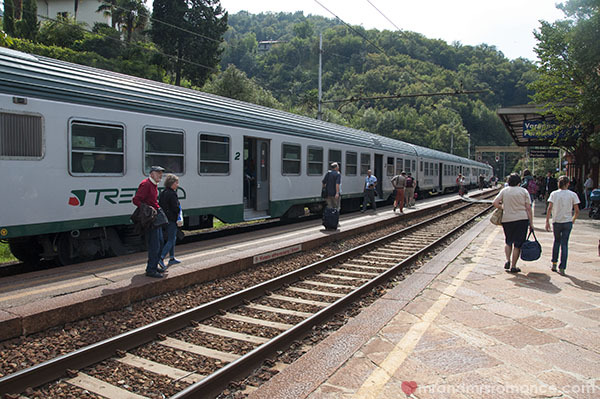 The train we took had a final destination of Tirano and runs every hour from Milan Centrale. If you know where you want to go you can buy the tickets from the very good vending machines in the ticket office without having to queue for 90 minutes to speak with a real person who will probably have poor English. Definitely a cheaper way to go than an organised tour….saw a couple in Bellagio and they looked very bored with the commentary etc. had a lovely light lunch with a couple of wines for very reasonable prices. Hi John. Thank you for that extra info. Really handy. I wonder why they’ve changed to colour of the validation boxes? Those prices you’ve given are really helpful and great tips for going self-guided rather than with a tour. I feel kind of sorry for that couple really. Fancy being bored at Lake Como! Didn’t think that’d be possible! 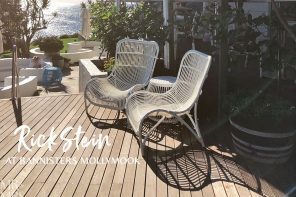 First thing great site and information. Planning a trip to Italy for 3 weeks end off September, flying into Milan and working way down south by train. Has anyone got any tips for me and is it best to buy train tickets from uk or on the day? Places am looking at visiting are Milan, Como, Florence, Pisa, Roma, Naples. already done Venice so going to give it a miss. Hi Paul. Your trip sounds awesome. Very jealous. Especially at the end of September. Not too hot, not too busy, just right. As far as train travel in Italy goes, it can get a bit confusing, so it depends on how you travel. If you want total security and peace of mind, buy the tickets while you’re still in the UK or alternatively try an online travel agent. An earlier commenter – Aria – mentioned she found an ok deal with Viator (http://www.viator.com/) that you might like to check out. Buying train tickets in Italy on the fly will be cheaper – and you can buy them for travel in advance too – though we found not all train lines work via the primary provider Trenitalia, so things do get a bit confusing. You may have to print out your booking sheets beforehand too, which we found very annoying and seemingly pointless. Even when we showed our booking on our phone, the ticket man wanted hard copy for some reason. And of course the ticket office didn’t have a printer. We ended up getting our hotel to do it. We did save money though and also saved ourselves the stress of wondering if we’d been ripped off by a travel agent, which I always worry about! Hope this helps – drop me a line if you need further info or more clarification. Have an amazing time in Italy. Buon fortuna! Hi, I have just been looking at the winter timetables for ferries from Varenna to Bellagio (we go to the lakes next week) Am I correct in thinking the service isnt available on a Sunday? Hi Sophie. It’s a bit confusing, isn’t it? I believe there are ferries almost every Sunday throughout the year apart from during the Christmas week and during special (secret?) festivals I can’t find any info on. Until later this month (25th March) there are only the fast ferry services going between Bellagio and Varenna. After that there’s the mid-lake shuttle that goes very frequently all week round. After the spring period, there are no timetables available. I think they release the summer timetable when spring starts. No idea why. I recently spoke to someone who went to Varenna in the middle of winter and they said that service ran pretty much as normal though it was obviously much quieter and some of the shops were shut. She didn’t mention the ferries being a problem, but then I don’t know if she was there on a Sunday. Hope this helps and I hope you have a lovely time on Lake Como. Hi Megan, what a gorgeous trip you’ve got planned! We’ve not been to Nesso but the all stops ferries do go there. Most fast / express ferries will miss it. Not sure of the timetable (Italy definitely does what it wants and can change its mind!) but September they should all still be running. Alternatively, have you contact the place you’re staying at to see if they can organise a boat transfer for you? You might be able to get a water taxi / charter to meet you as you arrive. Have a wonderful trip and happy birthday to your Mum! Could you please advise if it is best to pre book train tickets or purchase them on the day. We want to arrive in Varenna from Milan for a for an organisatied boat trip. I am in a group of 5. Thanks so much for the information. We will be staying in Bellagio in October 2019. If we take the train from Milan to Varenna … how difficult is the walk from the train station to the ferry terminal with luggage? Hi Jim (great name btw!) So glad you’ve found our site helpful. October’ll a great time of year to be on Lake Como. The walk from the station at Varenna down to the ferry isn’t too bad – only about 5 minutes and the ground is fairly even. Though it is down hill, which means you’ll have to go back up hill if you’re heading back to Milan via Varenna after your stay in Bellagio. Bellagio is mercifully well-paved and not too hilly in the main part of the town. Depending on where you’re staying, you might want to get a taxi if it’s away from the main concourse. Hope this all helps and that you enjoy your stay in this beautiful part of Italy. Hi we are going to Lake Como in April straight from the airport for 3 nights. i have booked an apartment near the lake in Como. after reading your views to stay in Bellagio instead i am having second thoughts, although i have paid for our accommodation! i know Bellagio is a nicer touristy town and easier to get to the other towns from Bellagio but i thought as we are only staying for 3 nights it would be best to stay in Como, i have read different reviews about Como, some saying it is quite nice others saying Bellagio is the place to stay. what is your opinion. Did you visit Como? Hi Margaret. Your trip sounds awesome! Don’t worry too much if you’ve already booked an apartment in Como. It’ll still be spectacular – and probably not a busy as places like Bellagio. We haven’t been to Como but friends of ours stayed nearby and had the best time.If you’re there for three nights, you’ll have plenty of time to get out to Bellagio and other towns – I say stick to your guns! My girlfriend and I are heading to Menaggio straight from the airport when we land Thursday afternoon. Do we still take the train to Varenna-Esino from Milano Centrale? Does the Ferry from Bellagio go to Menaggio? Thanks for your help!! To be honest I have no idea – we were already in Milan when we travelled to Como. Centrale was just round the corner from our hotel. However, I’ve had a quick look online and it looks like there might be trains that avoid Milan but none that go direct to Varenna, which means you’d have to change a couple of times. I think it would be quicker and easier to get on a train from the airport straight to Centrale then change for the train north to Varenna. As for the ferries, we only went to Bellagio, not to Menaggio. However, a quick look at Google Maps tells me there are ferries that go direct from Varenna to Menaggio or Varenna-Bellagio-Menaggio. So it’s up to you whether you stop in Bellagio on your way through. Have an awesome time in Italy. Quite jealous actually! Hope I was able to help. My friend and I plan to go to Milan as well as Lake Como in June. We would like to spend 3 nights in Lake Como, but could not make decision where we should stay among Varenna, Bellagio, and Como. Fyi, we will travel by train from Milan Centrale to Varenna. Do you have any suggestion regarding the train and any other relates issue for our concerns? Hi Charlotte. Sounds like you’ve got a great trip ahead of you. I’d probably avoid Como town – we haven’t been there but friends have said it’s not the best place to stay. It’s big and touristy. Varenna is the easiest place to stay as it’s right on the train line, though I think Bellagio is a nicer town to stay in. 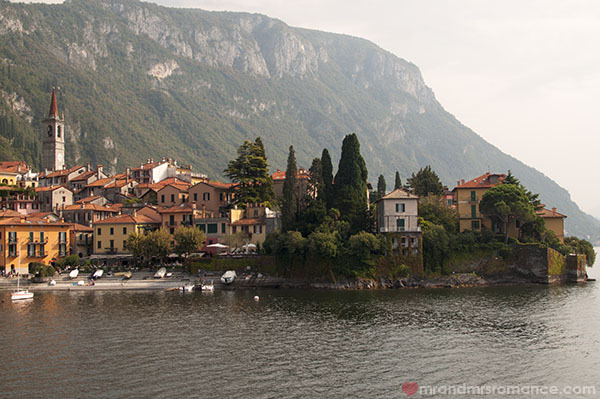 You can get to Menaggio on the other side of the lake easily from Varenna too, which you might want to think about. As far as accommodation goes, I’d look into AirBnB first and foremost if I were you. We only spent the day there, but our previous experience with Italy and its hotels would make me think you’d have better luck with private house hire. Have a lovely time on the lake. It’s a spectacularly beautiful part of the world. Hi! 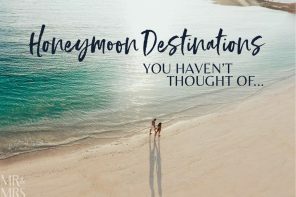 This post has been very helpful in deciding if me and my boyfriend will do a day trip to Bellagio and Lake Como, thanks! The only thing I’m wondering about is how we should get the tickets for the train and ferry, online or at the train and ferry station? What do you recommend? We’re going there at the end of June. Thanks Amanda! You’ll love it! We just bought tickets on the day but you can buy train tickets ahead of time. It’s a good idea to print the train tickets as some guards won’t accept electronic tickets. Have a great trip! We fly into Milan Malpensa on 11th Oct, and leave on 13th Oct so are not staying long. We’re booked to stay in Como and I was wondering if you’d advise us to get an airport transfer (50 mins) or the train? Would it take a huge amount of time? Apparently, the nearest station to our hotel is Como San Giovanni, but I hear Como Nord is not too far. Hi Katien. We didn’t actually go to Como town itself, only Varenna and Bellagio further north on the shores of Lake Como. To be honest, if you’re only in Como for a few days, I’d get the transfer. Getting the train might be more fiddly and will definitely be more time-consuming. 50 minutes to get from the airport to your hotel? That sounds like a bargain. Do that. Maybe you can try getting back to the airport by train though. You’ll definitely be more relaxed by then at least. Hope this helps. Enjoy your time in that incredibly beautiful part of the world. We will be in Milan Oct 1st and plan to go to see lake como on oct 2nd , day trip only, want to get back as same late evening we plan to take train to go to venice from milan. Do you recommend we get a rental car , to visit Varenna and Bellagio or train is better option. Hi Supriya. Sounds like you’ve got a lovely trip planned. No, I don’t think you need to get a car to explore Varenna and Bellagio. In fact I think it would probably make things more difficult as parking around Lake Como doesn’t look too easy. Both Varenna and Bellagio are only little towns. Just hop on the train, soak up the atmosphere and enjoy the scenery. No need for a car. Have a superb time in Italy and watch out for the guys in Venice who want to ‘help you’ with your luggage. They’ll want money every time. Mrs Romance got very annoyed with them! Thank you for providing information on how to get from Milan to Lake Como. We used it this past week to take a day trip. You saved us quite a bit of cash because we were looking at bus tours that would have cost at least $85 each. The total cost was less than $30 per person including the round trip ferry. That’s absolutely fantastic! Thank you so much for letting us know, Dony! So glad we could help. It’s a beautiful part of the world isn’t it? My husband and I arrive on a Saturday in Milan (land 2:30pm) and would like to go straight to Lezzeno to our accomodation. What would be the easiest/fastest way to get there? I have seen some information stating that there are 6pm cut off times for bus services in the Lezzeno area, is this correct? Thank you for the heads up! really helpful information. My wife and I will be staying in Milan for 4 nights this August and I thought I should give Varenna and Bellagio a visit. I plan to spend one day there and I will going by the train from Milan Centrale to Verenna as you suggested but I am a little concerned about the tickets for the train & ferry. Is it okay if I buy them the same day I am heading there? and How is my return the same day is going to be, easy or hard? Hi Mustafa. Definitely get out to Varenna and Bellagio. It’s so beautiful out by Lake Como. You can definitely get tickets for the train the same day – just remember to validate them on the platform before you get on the train. You can get return tickets for the train. Tickets for the ferry are available from the office near the wharf. There’s definitely enough time to get to Varenna and Bellagio in a day. Very easy. We stayed for dinner and caught the evening train back to Milan. Awesome day. You’re going to have a ball! 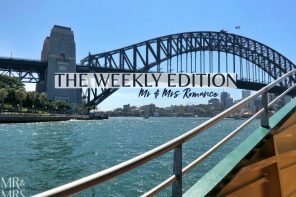 Hi Mr & Mrs Romance, I´ll be travelling to Lake Como in November and I was wondering if it´s neccesary to buy the tickets in addvance or if there´s always place at the train and the ferry, thank you! Hi Maria Laura. I believe you can buy your train tickets beforehand if you want to, but we just bought them at the station. I don’t think you can buy ferry tickets ahead of time. It’s not really necessary either and in November, Milan and the Como area will be nice and quiet with far fewer tourists. Best of luck and enjoy your trip to this beautiful part of Italy. I have a trip to Italy in the works for this coming May/June 2016 after graduating college and Milan is on the list of places to visit. Thanks for your post because now Id like to work a day in to visit Lake Como. I live in the Adirondacks and spend my summers on the lakes, but to visit a gorgeous lake in Italy would be incredibly different and exciting. Your advice on transportation will definitely come to use and it sounds like it will be the easiest way to get there so thank you very much! Hi Ciera. We’re so glad you found our post on Milan and Como useful. Your trip to Italy sounds like the perfect way to celebrate graduating college. You must be so excited. The Adirondacks look amazing – you’ll definitely get a lot out of seeing what Lake Como has to offer. It’ll be like being home away from home! Loved reading your article about Lake Como! I am traveling from Milan to Bellagio. Is there a train that goes directly to Bellagio from Milan Malpensa? I tried clicking on your ferry timetable link but it is no longer working. Any help would be greatly appreciated! Thank you! Hi Rachel. So glad you enjoyed reading our piece on Como. Unfortunately there are no trains direct to Bellagio. There are only roads up to that part of the lakeshore. Apologies for the broken link. Seems the Italian ferry service there decided to rename its url. All fixed now though. Just choose Varenna and Bellagio from the departure and arrival drop-down menus and select the date you want to travel. I think you’ll also be better off going into Milan city and leaving from Centrale rather than trying to catch the complicated network of local trains that take you eventually to Varenna from Malpensa. The link between the airport and the city is pretty good. Best of luck with your travels. Hope you enjoy Milan and Lake Como. Could you please also tell me if there are any ferries operating from Como to Varenna during December, thank you. I am interested in the period 7th to 11th of December. Hi Claudia. I’ve just had a quick look at the ferry timetable (there’s a link towards the bottom of this post for the website) and it looks like they only run ferries until October. That’s definitely when the timetabling stops. Perhaps they issue a winter timetable closer to the time, though I suspect it means there are no services running in the colder months. Here’s a link to the website and the email address to the lake’s ferry information service. Perhaps they can help you a little more. Sorry couldn’t give any further clarification. Hope you enjoy your trip to Italy. My husband and I are travelling to Italy in a few weeks and I was just wondering if I could take the train from Milano Centrale direct to Lake Como then catch the ferry to Bellagio? Or do I have to take the train from Milano Centrale to Varenna? Hi Lyn. Your holiday sounds amazing. Quite jealous. The answer to your questions is – for the most part – yes! You can take a train that goes direct from Centrale to Como. It takes about half an hour if the timetables are to be believed. There is a ferry that goes from Como to Bellagio. The only problem is this is only a summer route and stops on the 4th October this year. Hopefully you’ll be in Italy before then though. Alternatively the train ride we took to Varenna and then the ferry crossing to Bellagio was lovely. If the ferry isn’t running to Bellagio at that time, you’ll still have an amazing time in Varenna. It’s a beautiful town and – from what I’ve heard – better than Como, which can be a bit grotty. We are thinking we might rent a place with a kitchen in Varenna but are concerned about availability of food to eat at home. Can you comment on what is available? ie markets, food shops etc. Hi Steve. Self-contained apartments like you can find through Air BnB are a great way of saving money and also getting into the real life of a place. Good idea. As far as supermarkets go, looks like there’s one in Menaggio – a ferry ride across the other side of the lake – and there seems to be a couple down the road in the next town – Mandello del Lario. I don’t remember seeing any supermercarto in Varenna though. On the other hand, pretty much every town has a bakers, a meats and cheese place and a greengrocers… and everywhere sells wine and beer! That’s all you need, isn’t it?! Good luck and have a lovely trip. It’s a beautiful place. hi, we will be staying in venice and then over milan and we have decided to spend the last 2 nights in Como instead of staying in milan however im confused as for which town to stay. we will be going to the milano airport back from como? Since is just for 2 nights what town do you remommend to stay in and is it difficult to travel to milano bergamo airport if we stay in Como/ Bellaggio then? Hi Michelle. Your trip to Venice and Lake Como sounds amazing. Very jealous! Looks like you have to go to Milan Centrale to get to Varenna if you want to travel by train. From Venice to Milan Centrale it’s about 3 hours, then another 45 minutes or so to get to Varenna from Milan Centrale. It’s not a cheap option by the look of things – about Euro46 per person. Might be better off hiring a car for the day and driving to Varenna or finding a bus service maybe? 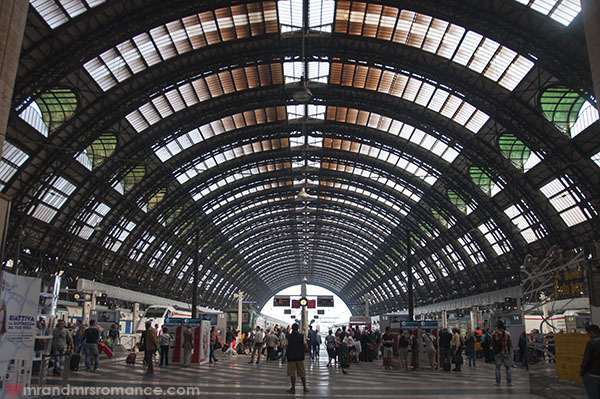 Travelling back to Milan Centrale from Varenna is easy and a taxi ride or connecting train back to the airport will not cost you much time or money. For accommodation, it’s hard for us to say as we were only on a day trip to Lake Como from Milan, but there are lots of AirBnB places in the area. Hotels are expensive and small, whereas AirBnB will give you options for renting an entire house, apartment or villa. We’ve stayed in some amazing places in Italy through this service. One last thing, we’ve heard Como town isn’t very nice and not really worth visiting. Better to go straight to Varenna, Bellagio or Menaggio, or one of the other towns along the lake. Hope this information is helpful for you. Have a lovely trip through northern Italy. Hi Aditi. Sounds like you’ve got a great trip planned. I know how you feel about not being able to stay at the lake for longer. We only had a day there but we were so glad we did it. Such a beautiful part of the country. Definitely go to Bellagio via Varenna, which you can reach by train. We’ve heard Como town isn’t that great anyway. Have an awesome time and thanks for stopping by. Awesome, Aditi! Good luck – I’m sure you’ll have a lovely trip. By the way, make sure you check the ferry timetable via the link in my article. The times change as we go into November. We stayed in Bellagio for a week four years ago to see our son get married in Varrena, we are all from England but they set their hearts on a romantic wedding on lake Como. Needless to say we had a fantastic time, wine tasting, cookery school and of course the wedding its self. Found your web site because we’re here in Milan on business and plan to re visit the Lake tomorrow when we have a free day. To anyone who has not experienced the beauty of the towns and friendliness of the people, (restaurants are particularly welcoming for those with children) then I envy you your first time, the only two warnings I would give are 1) the streets away from the lake edge can get hilly and possibly not suited to elderly or or some disabilities 2) be warned, it’s so attractive you will find it difficult to leave! Hi Paul and Christine! Varenna and Bellagio really are amazing, aren’t they? Truly enchanting. Great tips to add by the way. The streets do indeed get very steep. Must be a nightmare when it rains! And your caveat on wanting to stay is also right on the money. We were intending to get back to Milan for dinner but ended up just making the last train. Really didn’t want to leave. Your son’s wedding must have been absolutely incredible. What a setting! Best of luck for your next visit to Lake Como. Hope it’s as much of a delight for you as your first visit. I’m going to Milan next week and want to do this trip. What do you think it’ll be like in the winter? I googled “Lake Como Winter” and it still looks pretty. Also, doing some math.. about 30 EUR for Milan – Lake Como and ferry to Bellagio. Unable to find out how much the funicular is. Did you guys do it? I found a Viator tour for $80 ($ to EUR almost 1:1) that includes train ticket, ferry, funicular, and food. Not sure if that’s the way to go. Very jealous that you’ll be in Italy for winter. It’ll be so pretty – especially the mountains. With regards to the ferries around Lake Como, you might want to check the timetables. I remember reading something about services being different over the winter and some even not running from November. Not sure when services start again. We didn’t do the funicular ride, but I bet the views from the top would be stunning. I’d say €80 is a bit more than if you’d book it yourself but with an agent’s fee, it sounds about right. And then you won’t have the extra stress of things being closed for the season too. Oh, and you get food as well? Didn’t see that bit. 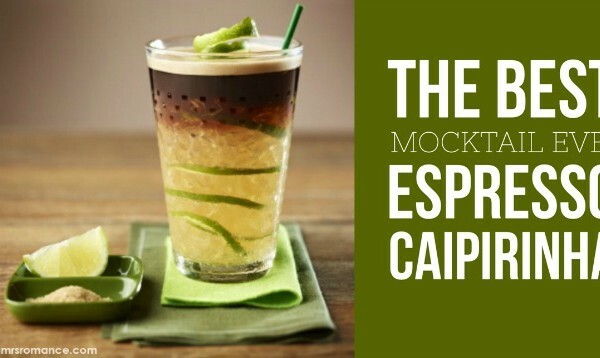 Yeah, I’d go for that! Nice work! Have a lovely trip to Como. You’ll have the best time! Thank you, Alessandro! You’re so lucky to live in such a beautiful part of the world. We can’t wait to get back there. Hi Stacey. Congratulations on your 10th wedding anniversary! Bellagio would be a beautiful place to celebrate it. Especially in June. Unfortunately, as I mentioned in the post, we only spent the day at the lake so we don’t have any great tips for accommodation in Bellagio itself. However, I believe there are lots of AirBnB places in the area, which would be cheaper than hotels and you’ll get a real sense of living there. Plus you’ll probably get more space than in a hotel. As for the airport, you’ll probably fly into Malpensa as it’s the biggest. Hope this helps and you enjoy your time in Italy. Just returned and this was so helpful! It was cold and still beautiful and the entire town of Varenna and Bellagio were DEAD. Maybe tooo dead for me, but got some nice tranquility by the lake. Thank you so much, Aria! So glad we could help you! I bet it was so cold there this time of year. Not surprised it was beautiful though. I can’t imagine a time when that part of the world could be anything else! Hi Martha. Lake Como is such a beautiful place – ideal for a wedding venue! 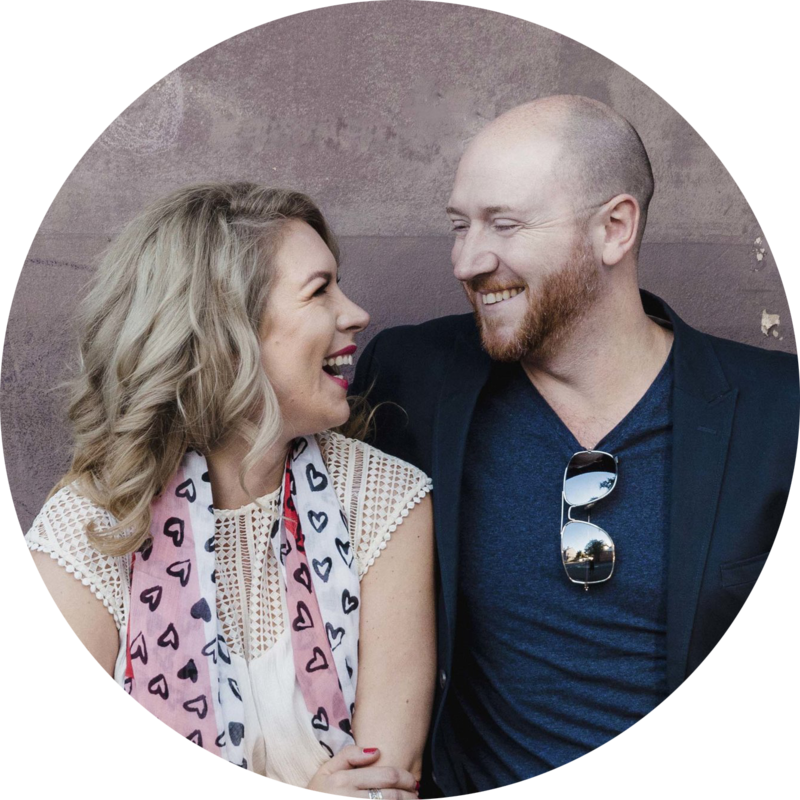 Unfortunately I don’t have any specific information to help you on a hunt for a wedding venue, but there are a few tips I’d love to share with you. First off, I would probably avoid Como town itself. Although it’s on the lake and is one of the biggest towns on the lake’s shores, there are nicer places than Como town. We visited Bellagio and Varenna while we were at Lake Como, and they were two of the most beautiful places we found in Italy. Friends of ours stayed further southeast on the lake in Torno and loved it. They were in the Hotel Vapore (http://booking.com/hotel/it/vapore.html), which isn’t far from Como town if that’s where you’d prefer to be. On the other hand, other friends of ours got married in Tuscany in a little castello. It was the most amazing wedding we’ve ever been to. They had a wedding planner organise everything for them, which seems to be quite a popular thing to do in Italy. Their venue was in Castello di Modanella (http://modanlla.com). We also stayed there as there’s plenty of accommodation for wedding guests. Hope all this helps. Hope your daughter has the best day. My wife and I plan to visit Lake Como by train on 27th March. What time do you suggest should we reach Varenna in the morning from Milan Central? Do you suggest to spend time in Varenna or should we head straight for Bellagio. Considering all factors and your personal experience what time should we return to Varenna? Hi Jaikishen. When we went to Varenna, we took a morning train from Milan Centrale and got to Varenna at about 10am. We found that was enough time to explore a bit of Varenna – just the little town, a few of the shops and along the shore of the lake. There’s plenty more to see and do but we took it easy, got a gelato and relaxed. Then at around lunchtime we took the ferry out to Bellagio and walked around there. We had a beautiful lunch out on the waterfront then got the last ferry back in time for sunset over the lake, which was stunning! We grabbed dinner in Varenna at around 8.30pm (we were there in summer so sunset was much later than it is in March) then got a train back to Milan at around 10.30/11.00pm. It was a full day, but not a busy one. And a day that neither of us will ever forget. I hope this is helpful and you have the best time in one of the most beautiful parts of Italy. Thank you for this trip advice, today I had a perfect day in Varenna and Bellagio! Im really thankful:) As it’s not a season until end of March many many of attraction places are closed, such as Castello di Vezio in Varenna (which I found out after 30min of going to a steep hill). Not many restaurants or shops are working but it means that you can enjoy more private visit with less tourists. If you are lucky with the weather, it’s gonna be awesome! Hi Justina. Thank you for such a lovely comment. Made our day! Yes, we had to walk up that hill to the castle as well only to find it had closed about 2 minutes earlier! And it was a really hot day! It must be so lovely and peaceful there with fewer tourists around. So glad you had a great time at Lake Como. It’s such a beautiful place, isn’t it? I plan on visiting Milan and Lake Como late June for 3 nights. We will be staying at the Grand Hotel Tremezzo . But I am unsure whether to stay 2 nights in Como or Milan. My coworker said to stay in Como 1 night as Como is a very small town . I am just thinking of trying to maximize our time and make our trip practical and reduce travel time . What would you do? Hi Christine. Sounds like you’ve got a wonderful trip planned. We love Milan and Lake Como, so it’s hard to choose between the two. I’ve heard that Como town itself isn’t that great – especially in the peak tourist season when you’ll be there. We stayed in Milan and travelled to Lake Como (Varenna and Bellagio) by train, which was very quick and easy. If you have a couple of nights to spare to stay by Lake Como, I’d look into AirBnB-ing it in Varenna. There are lots of places in the area to rent and it’d be a cheaper, more authentic experience than paying for a hotel by the lake. Hope you have a wonderful time in Italy. Please stop by again and tell us how your trip goes. I am heading to Milan for 2 nights in a couple of weeks – would you receommend a day trip to Lake Como or stick to Milan for the 3 days I’m there? Hi Lee. It’s a good question. There’s plenty to do in both places. Even with only 2 nights in Milan, I think it’d be worth taking a train out to Lake Como after breakfast, spending lunch and early evening there and heading back to Milan that night. It’s pretty much what we did – though we didn’t really start off that early. Trains from Centrale leave for Varenna quite regularly, then from there you can get a ferry over to Bellagio very easily. We ended up having dinner in Varenna too, but there are plenty of places in Milan to eat too. Don’t bother with Como town itself though. Just head to Varenna or one of the other smaller towns. They’re less touristy and friendlier. Plus the lake seems to get prettier the further north you go. I’d also go on your second day, so spend a bit of time exploring Milan first, then head to the lake the next day. That way you won’t feel like you’re missing out on seeing Milan as much! Hi. We visited Lake Como yesterday and were completely enchanted with Bellagio. We had originally planned to go to Como but stumbled on your post the evening beforehand and took your advice. So glad we did. It was perfect. Instructions about the train were very helpful, particularly the ticket validation process. We are only in Milan for 3 nights but glad we spent time at Lake Como. We got an all day ferry pass so we could visit the main towns near Varenna. Thanks for your post. Deb and Rob. Mt Eliza. Australia. Hi Deb. Your comment has just made our day! So glad you had a great time at Lake Como. Isn’t Bellagio amazing?! Hope you have the best time in Milan and in Italy and hope your trip back to Australia is a safe one. Reading through the posts, and they’ve been very informative. However, I haven’t come across any discussing Milan Central. My son (25) and I are visiting Milan first 5 days in September. I’m going to Bellagio via Varenna by myself. I’ve read many posts on other sights that Milan Central is a very high crime area. Pickpockets, luggage theft are the biggest. I’m pretty savvy traveler, but apparently even purchasing your ticket at the kiosk is a risk because they’ll steal your change right out of the machine! What has been your experience? Also, once ticket has been purchased and validated, is it fairly easy to find track? Any information is much appreciated! Hi Alison. 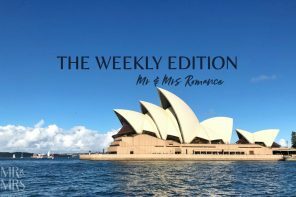 If you search for ‘Milan’ on site – or actually if you just use this link: https://mrandmrsromance.com/?s=milan , you’ll be able to see all our posts on Milan and surrounding areas. I’m quite surprised that there are so many people out there saying that Milan is dangerous though. We were there for about a week and never once felt in danger or at threat of being robbed or pick-pocketed. Even when we were there during September Fashion Week – probably the busiest time of year for the city – and it was fine. Providing you take the usual amount of care you would whenever you’re travelling, I can confidently say you’ll be fine in Milan. Hope this all helps and hope you have a lovely time in Milan and at Lake Como in September. It’s a beautiful time of year to be in Italy… though if you’re there during Fashion Week, expect craziness and delays. The city goes quite mad! Oh, and as for the train, yes, it’s very easy to find your platform once you’ve got your ticket and have validated it. There are signs everywhere – just like most modern stations. As for your return trip from Varenna, there’s only one platform, so just make sure the train you get is pointing the right way! We are going to Monza for F1 in September 4th and staying in Monza area for 3 days and 2 nights. We are wondering where to go there. Also we are planning to go to Lake Como and see the place. We also booked 5 nights in Centrale Milan. Any suggestions on what to do and where to go, not too pricey places though 🙂 We are also planning to cross border going to Lugano from Milan. Hi Polly. Sounds like you’ve got a lovely trip planned. It’s definitely worth getting out to Lake Como – even for the day. It’s so pretty there. As you’ve commented on this post, I presume you’ve read our ideas of how to get to Varenna. From there, you can get the ferry across to Menaggio and catch another train across the border to Switzerland. We haven’t done it, but it looks simple enough. And thanks to Europe’s open border policy, crossing into other countries is very simple. Hope this all helps. Have fun in Italy. It’s such a great place to visit. Hi. Thanks for this helpful post. I will be going to Milan this June and I have some questions for you. Is it cheaper to buy the ticket to Varenna at the train station (6.70 euro one way on Trenitalia’s website) or the price is the same as the one online? Which one is more recommended – buy at the train station or online? Did you visit Venice too? Any tips for a day trip to Venice from Milan? Oh, and how much is a one way ferry ticket for Varenna-Bellagio and how long is the ferry ride? Hi Faris. 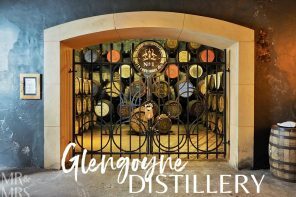 Thanks for your kind words – and the questions! I’m not sure about the train fares – I think it’ll probably be about the same buying the tickets online or at the station. One thing you might want to watch out for if you do buy online is that a lot of tickets are specific to an actual train rather than a route. That’s why we just bought ours at the station. If there is a saving to be made, I wouldn’t have thought it would be that much anyway. I’m not sure if a day trip to Venice from Milan is a good idea – it’s quite a long way, which means you probably wouldn’t get much time in Venice itself. If you search for Venice on our site (the search bar is in the top right corner on a desktop), you’ll find all our posts on Venice. Hope this will give you some travel inspiration for this lovely city. As for the ferries on Lake Como, it depends on a few different things. A regular one-way adult ticket Varenna to Bellagio is E4.60. Pensioners and children get cheaper fares. If you buy a day ticket, you can travel an unlimited number of times between ports – including intermediary ports – for that price. So I’d probably buy a day ticket to somewhere like Menaggio and use it to go between there, Bellagio and Varenna. Also if you have a car you want to take across, that’ll cost more obviously. The ferry ride to Bellagio from Varenna is about 15 minutes. Thanks so much for your tips on our visit. Sorry for the confusion in my question on safety, posts claimed the central station in Milan was risky not the city itself. Son is attending the F1 race, so I’m on my own to explore! I’ll check out your links, not planning on using taxis but I’ll read up on them in case! Hi Alison. No worries. I see what you mean now. I don’t remember feeling particularly at risk in Milan Centrale though. No more than in the Paris Metro (where we did witness a small child picking a gent’s pocket!) or in packed stations in SE Asia. I think during rush hour things might be a bit different but after 9am things are calmer. It’s a big station so it’s usually easy to find a bit of space. Hope you have fun exploring on your own – and that your boy has fun at the F1 too. I’ve never been but I’ve got friends who never miss a chance to go. That’s awesome! Thank you so much for the feedback, Nathan. Really glad you had a good time at Lake Como. It’s so lovely there, isn’t it? This is a great read! I’m taking my girlfriend to Milan in August and plan to propose to her somewhere on Lake Como. Any suggestions on a good location for this? I want a stunning backdrop. Will we need the entire day there or do you think we could leave just after sunset? I think I’ll get the train from central Milan and head to Varenna as mentioned in your post, grab a ferry and visit Bellagio and see some of the sights. Hi Nathan. Thanks for your kind words – and your exciting news. What a great place to pop the question. The good news is you’d be hard put to find a place that doesn’t have a stunning backdrop here, but of everywhere in this area I’d go with Bellagio. It’s got the name plus it’s where the two lakes meet. If you head north from the ferry terminal and go up to the tip of Bellagio, there’s a little park right at the tip that would give you a bit of privacy, or there’s a little harbour wall that would be awesome too. The view of the mountains, the lake and the little towns nestled around the shoreline is unbeatable. Just make sure you get her standing facing that view! 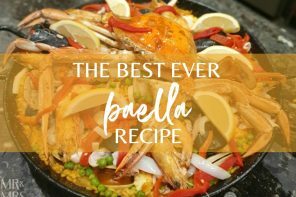 To top things off, there’s a little restaurant there called La Punta where you can stop and have a drink afterwards – believe me, you’ll need it! As for how long to stay at the lake, we thought we’d be back in Milan by sundown, but we just didn’t want to leave. We ended up having dinner in Varenna and catching the last train back at about 9.30. So in answer to your question, stay as long as you can! It’s an amazing way to spend a day in Italy and a bloody spectacular place to ask one of the most important questions of your life. Nice choice! Of course, I give you this advice under one condition: you’ve got to email us a photo or tell us how it all went! Best of luck, mate, and let me know if there’s anything else I can help you with. Hi Ashish. What a great trip you’ve got coming up! Good question – I think if you’re limited with time, 1 day in Milan is enough. Lake Como and Venice do have more to offer. Whether you spend more time at the lake or in Venice is a tricky one. To be honest I think you can see enough of Lake Como with 1 night there have then 3 nights in Venice. It does come down to budget – Venice accommodation is notoriously expensive, but if that’s not a problem, then I’d make the most of being in Venice. It’s such a beautiful city, and with the extra night, you’ll be able to get right out to the northern islands where fewer tourists go. It’ll be a much more authentic experience for you. On the other hand, 2 nights on Lake Como would be amazing too. 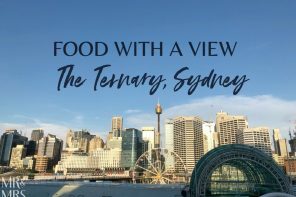 You could spend a whole day exploring the little towns along the coast by ferry and on foot then have dinner wherever you want. We were only there for the day and only got to see Varenna and Bellagio. Menaggio and Griante on the far side of the lake look amazing too and are easily accessible by ferry. Hope this all helps and that you have an awesome time in Italy. Quite jealous of your trip! Hi Michael. First of all, congratulations on your birthday. It sounds like you’ve got a wonderful trip planned to celebrate. We love travelling through Italy and get back there as often as we can. Tickets are €6 each way or €10 for 1st class. It’s only an hour by train and you find yourself at the middle of the lake. Definitely explore Varenna, it’s a beautiful little town and you get some amazing views of the lake. You can go on to visit Menaggio if you have time, which is on the far side of the lake and is also amazing. As for romantic places to dine, as you can imagine there are quite a few around this part of the lake. I’d recommend the walk along the foreshore in Bellagio to La Punta Ristorante for lunch and for dinner back at Varenna, there’s a beautiful place called Bar il Molo I think you’ll enjoy. Keep an eye on the time though – you don’t want to miss the last train back to Milan and remember the platform’s at the top of the hill. We were a bit puffed by the time we got to the station! As for safety, Varenna and Bellagio are very safe – you don’t need to worry there. As for Milan, I’ve heard talk of the station being a bit dodgy, however we had absolutely no problem there whatsoever. Yes, it’s a big train station with all kinds of people, but it’s no more or less dangerous than any other station in Europe. I really hope you have a lovely time in Italy – and many happy returns once again. i and my wife are planning a day trip to lake como from milan on dec 5th 2016 pls advise us 1. can we take a ferry to bellagio from varenna and stay there for lunch or is the ferry just a simple round trip. 2. which is a better scenic place to have lubch by the lakeside in dec; bellagio or varenna? 1. Yes, you can take the ferry from Varenna to Bellagio and stay there for lunch – just like we’ve detailed on our post you’re commenting on. There are details here on where we went too, so don’t forget to check it out before you go. 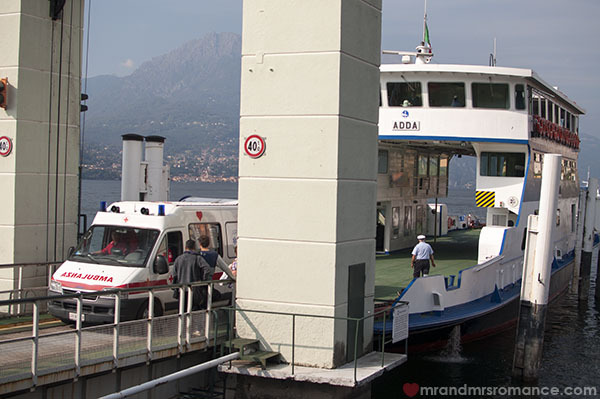 The ferries are the main mode of transport all around the lake – even the ambulances use them. 2. Both Bellagio and Varenna have beautiful views out over the lake. We were only there for the day too, but in late summer, so I don’t know what it’ll be like in the middle of the Italian winter. There were plenty of cute little places in the town itself in Bellagio, but the place we went to – La Punta – is very pretty. There are more places in Varenna on the waterfront too, but they might be closed for winter. One final thing – a bit of a caveat actually – is to check the ferry timetables here. I’ve got a nasty feeling that, during the winter months, the ferries either have a reduced service or stop altogether. IF so, it’s still worth getting the train to Varenna and perhaps seeing if there’s a private boat you can hire to get to Bellagio… or just stay in Varenna. It’s very pretty there. Hope this all helps. Thanks for stopping by. Thank God i found your site! 🙂 I had spend so much time searching and reading but i am so confused. I just want to ask advice/help, I am Backpacking Italy, January 7 to January 15, 9 days. 1. flight from Denmark to Milan maybe 2-3 days Milan so that i can visit Varenna and Lake Como, what train i am going to take back and fort from Milan to Varenna and Lake Como.? What is best best to do so i can get cheapest trip. 2. then from Milan to Venice 2days. 3.Florence and Pisa 2days then last trip 4. Rome 2days then back home. what is the best way to travel city to city and cheapest? How much is the prices by train city to city? Thank you and Merry Christmas to both of you. Hi Beverly. Really glad we can help you with your trip. It sounds amazing. You need to take the train from Milano Centrale station to Varenna-Esino. As the post says, it’s about an hour’s journey and will cost you about 12 Euros return. There is only one ‘platform’ at Varenna, so you just have to make sure you’re going the right way when the train arrives. If you’re looking at getting a ferry from Varenna to Bellagio etc, please check the ferry timetables (there’s a link towards the bottom of this post) as some services are reduced or go offline in the winter months on Lake Como. As for getting to Venice from Milan, it’s quite simple – from Milano Centrale you head to Venezia S. Lucia, which will bring you out on the Grand Canal in Venice. Check out our tips on how to use the vaporetto boat system in Venice here. The train from Milan to Venice is more expensive as it’s further – between 20-35 Euro, but still cheaper than hiring a car. Plus you don’t have to worry about parking. The train system in Italy is good and the prices are fair too. You can buy your tickets ahead of time or just buy them at the station itself. Here’s the link again to the Trenitalia website. As for your other destinations, check the train website for more details. When we’ve been to Rome and Pisa in the past, we’ve either flown in or driven, so I don’t know much about the trains there. Good luck and safe travels. Have a spritz Aperol for us! Hi Jodie. Great to hear your going to Lake Como. It’s so beautiful there. And a day trip will allow you to see plenty from Varenna to Bellagio. You’ll need to get a ferry to Bellagio from Varenna, which doesn’t take that long – maybe 15 minutes. But the train to Varenna from Milan Centrale is nowhere near 3 hours. The current timetable says around an hour, which is how long it took us when we were there. Here’s a link to the Trenitalia website where you can check for times and trip durations: http://www.trenitalia.com/tcom-en. I am taking my 10 years old son to Milan and would like to take a day trip to Lake Como. Unfortunately, we already reserved the ticket to Duomo at 3pm. If we only go to see the lake and Varenna, do you think we have enough time? Planning to leave Milan around 8am or even early. Is Varenna a good place for a kid? Hi Julie. To begin with, yes, Varenna and Lake Como is a great place to take a 10-year-old. It’s really pretty, lots of places to explore and some great gelato shops to enjoy too! I think if you left at 8am, you’d have enough time to see Varenna and have lunch before you leave to get back to see Milan’s beautiful duomo. If you leave Varenna by 2.15 at the latest, you should make it back in time. Have a lovely time at Lake Como and good luck with your travels. Hi! Me and my twin sister are going to Milan only for 3 days (we arrive Thursday night and leave Sunday afternoon) . We would love to visit the lakes, and we were wondering if it would be better to rent a car for the two of us or go everywhere by train or bus. From your experience, what do you think is the best option? We are both 27 years old and we love traveling together 😀 and we really don’t know which is the best option… With such a few time in Milan, what would be the best option (car VA. Public transportation) and (which lakes?) Thank you! Hi Madalena. I bet you’re very excited about your trip. Any time at all in Italy is awesome. I love driving in Italy, so hiring a car is always a good option. Having said that, if you’re basing yourselves in Milan, I wouldn’t bother hiring a car. The metro system there is awesome and the train ride to Varenna is so easy and cheap. You also won’t have to stress about parking either, which can be tricky in Italy. 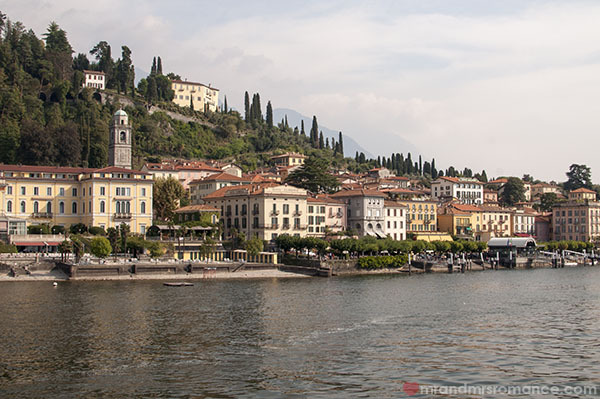 If I were you, I would look at going to Varenna by train (the details are in this post you’ve commented on) and then catching the ferry across the lake to Bellagio and Menaggio. 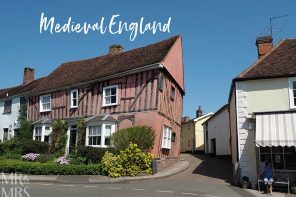 There’s plenty to explore around these three little towns or you can catch the ferry further afield. I wouldn’t bother with Como Town – I’ve heard there are better places around the lake. 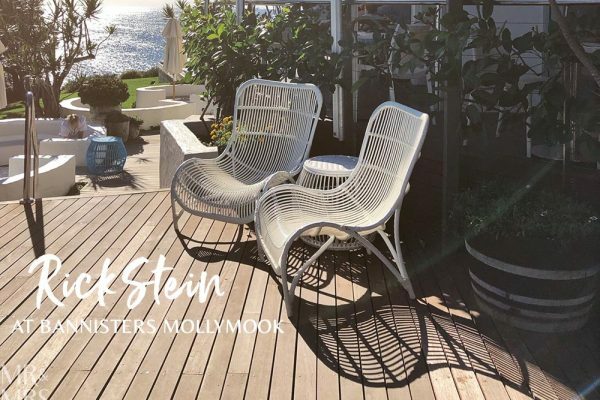 If you’re looking for accommodation around the lake, AirBnB has some options plus there are hotels you can find through our links on this post too. There’s only one lake – Lake Como – but it splits into two as you head south. The tip of the split is where Bellagio is. I hope this all helps. Please let me know if you want any more info and I’ll do my best to help. Hi! My soon to be husband and I are planning our European 1st wedding anniversary for next October (2019). We are doing 5 weeks; France, Spain & Italy – majority of our time being spent between Italy & Spain. We are looking at making our way back up from Sorrento to Venice (stopping all along the way), but am unsure as to whether it’s best to stay 2 nights in Como (as we want to see Lake Como) and then go to Milan and stay 1 night before departing back to Melbourne, Australia. As it’s been mentioned to stay at Varenna in this post? Hi Rachel. Congratulations on your upcoming wedding. 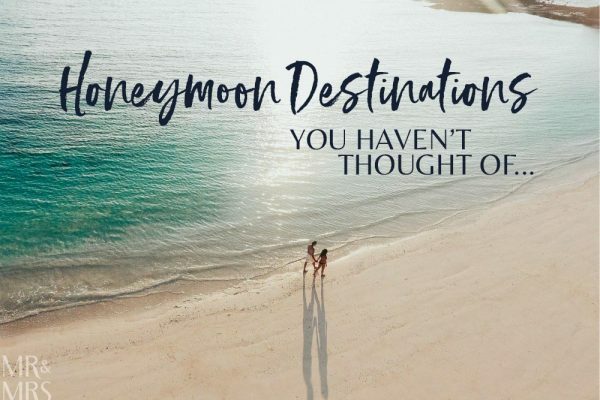 Love how you’re planning your 1st anniversary trip before you’re married. So impressed! And also very impressed with your itinerary. Sounds like an awesome journey. Como town itself is pretty busy – not as romantic as further up the lake in places like Varenna and Bellagio. As far as where to stay in and around Varenna, I’d have a look on AirBnB – hotels in Italy (and Europe generally) are usually expensive and the rooms are small. We didn’t stay overnight at the lake – only visited on a daytrip from Milan – so I can’t give you any specific venues, but it’s so pretty there, anywhere you stay will be lovely. How long you stay is another issue. There’s plenty to do at Lake Como, but we were happy with just a daytrip. As you’ll have read, the train ride there from Milan is quick and easy. And there’s more to do in Milan (here’s our post on things to do in Milan). Maybe 2 nights in Milan and 1 night in Varenna would be good. Then it’s an easy train ride to Venice from Milan – here’s some guidance if you’re looking for that too. I hope this all helps. Let me know if you’d like more advice and I’ll try and help. By the way, we just came back from Naples and the Amalfi Coast, so watch this space for our stories on our time there. We’ve got some great tips on where to stay, where to go and what to do. Hi, I’m staying in Milan on a surprise trip for my girlfriends birthday in August and have been inspired to take a trip to Bellagio after reading your post so thank you for that! I’m now trying to book a restaurant with views of the lake so firstly – any recommendations? And secondly are the ferries regular back to Varenna to make the train back to Milan? I haven’t booked trains yet but looked online and can’t seem to find an open return ticket only specific train times, so don’t want to book either a train or a restaurant if it’s going to be a rush for either! Hi Jamie. So happy we helped with your idea to travel to Lake Como. It’s a beautiful part of the country. I’m sure your girlfriend will love it. As far as restaurants go, the one we went to in Bellagio was called La Punta and had views of the lake. The only problem could be that if you’re only at Lake Como for the day, it might be too far to get the ferry then the train back to Milan. Definitely worth a lunchtime visit though. In Varenna, there are a few places that look good along the waterfront. We went to Il Molo, which has beautiful views of the lake and is close enough to the station that you can wait till the last train without stressing too much. Both these places are in our other post on Lake Como here. We didn’t book for either restaurant, though I’m sure you could reserve a table if you email them. As for trains, we bought our tickets at the station on the day. It’s really easy – you can use the touch screen machine, pay cash or contactless card and even buy open-ended tickets at the time. Just remember to validate the tickets on the little machines on or before the platforms before you get on the train. Please check back through this post for the link to the ferry timetables. You just need to type ‘Varenna’ and ‘Bellagio’ into the search criteria, though the ferries run really regularly – especially in August. As for what to do at Lake Como, well, we just walked around and soaked up the beauty of the place. Grab a spritz and an ice cream and just chill out! I hope this all helps. Let me know if there’s anything else I can help with. Hello, your feedback is so great and I’m glad I landed here. My itinerary is short for Italy and includes a day visit to lake como from Milan. I’ll try to take an early train ride so I can appreciate the beauty of the town and lake. Just wanted to get your suggestion on a one-day visit. Thanks so much! Hi Susan. Thanks for your kind words. Definitely worth getting the early train to make the most of your time on the lake. You can see the best parts of Varenna in an hour or two (though I highly recommend an ice cream at one of the gelaterias on the main street around the lake, and there’s a little trattoria called Il Molo that’s great value and right on the water). From Varenna it’s a quick and easy ferry ride to Bellagio, which is great to explore, and if you have time, get another ferry over to the other side of the lake to Cadenabbia and Tremezzo. Have a drink at the Grand Hotel Tremezzo’s amazing poolside bar and maybe check out Villa Carlotta if you have time. So much to do there, but a day is definitely enough to see so much. I hope this helps and that you have a lovely time on Lake Como! I still need some advise on Chur-Tirano -> Como -> Venice -> Milan. – I’ll be taking the Chur – Tirano Bernina Express likely on 1st May. – Booked a 2 nights stay at Venice from 2-4th May. – 1pm flight home from Milan on 5th May. + Or should I go directly from Tirano to Venice (change my accommodation date 1-3May). And day trip from Milan on 4th May? Hi Audrey. Sounds like you’ve got a lovely trip planned. May’s a great time to be in northern Italy too. I’m afraid we haven’t been to Tirano (or Chur in Switzerland) but from what I can see, it’s a pretty long train ride from Tirano to Venice – about 5 hours, which doesn’t sound like a lot of fun. However, Varenna from Tirano is only an hour and a half, so you might want to think about either stopping off there for the night or even just visit for the day, then heading on to Milan after that. You can see Lake Como in a day from Varenna, but obviously the more time you have there the better. From Milan to Venice by train, it’s about 2 and a half hours (here’s our post about that trip) and then you can come back to Milan for your flight after that. Staying in Milan is fun, though not essential. It’s lovely there but I’d say it hasn’t got as much going for it as other places in Italy – certainly not compared to Lake Como and definitely not like Venice. You could always stay over night in Varenna or Bellagio then catch the train to Milan and on to Venice like that if you can change your Venice accomm. Hope this helps and that you have a lovely time in Italy. Hi, Mr.& Mrs. Romance: I had a one day trip two years ago visited Varenna & Bellagio. it’s so beautiful villages, this time I bring other friend total 6 of us from Milan on early September planning stay at lake come for 5-6 day to visit and relax . need you advice. 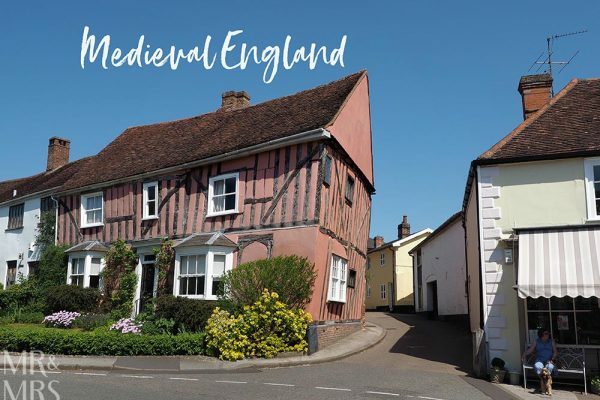 which village you think is more convenience to stay to visiting ( not too expensive) ? how many village you think we must visit during 6 days stay ? can we ride boat to visit all the villages around ( I saw there different kind the boat go each town ?) ? Hi Steven. Varenna and Bellagio are lovely, aren’t they? Really excited that you’ll be going back there too and with friends. 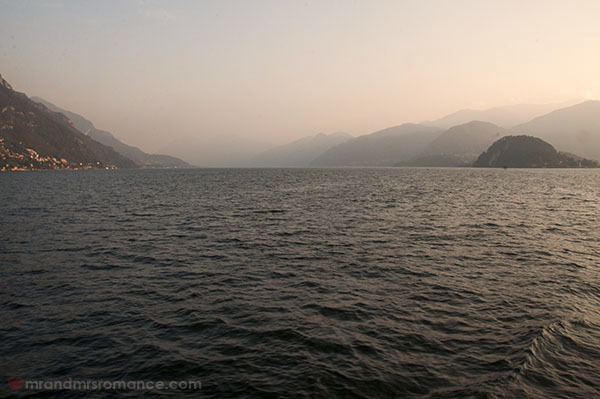 We went back recently and were still as blown away by how lovely Lake Como is. If you’re all going up by train from Milan, you’re probably best off basing yourselves in Varenna. It’s the most connected of the towns around that part of the lake and also cheaper than Bellagio, which is now very popular. Have a look on AirBnB or other private rental sites rather than hotels in the area. You’ll get more space and a better price I think. 5-6 days will definitely be enough time to see plenty around the lake. The ferries run regularly from Varenna to Bellagio and Menaggio across the other side, and get over to Tremezzo if you can too. You might even want to head all the way down to Como Town itself one day. Would be a nice ferry ride. The other option we’d recommend is getting a private boat tour one day. With 6 of you, it won’t be that much. Here’s our post on private boat tours on Lake Como. You can also get a seaplane ride over the lake, which looks amazing. Seen it for only about 90 euros pp on one site. Hope all this helps. Let me know if you need any more help or advice. Arrive Milan, get a train down to Venice (it’s only a couple of hours and you won’t need a car when you’re there). From Venice, get another train to Florence, also another couple of hours. Pick up a car in Florence when you leave and drive to Assisi and then on to Rome. Drop your car off in Rome – you don’t want to drive in that city. It’s crazy! These guys have pretty good rates as a starting point for car rentals. Fly from Rome to Milan – I’d bet you’ll be able to pick up a flight for cheap on that route and at that time of year. Back in Milan, get the train up to Varenna as per this post and stay the night in Varenna – sunset over Lake Como is not to be missed. Train back to Milan, spend the day exploring the city and fly home that day or the following, depending on your departure time. I hope this is helpful and that you enjoy your time in Italy. It’s an incredible country to travel in.